New Zealand is truly a magical place, filled with exotic wildlife, one-of-a-kind features, and too many beautiful, picture-perfect landscapes to count. 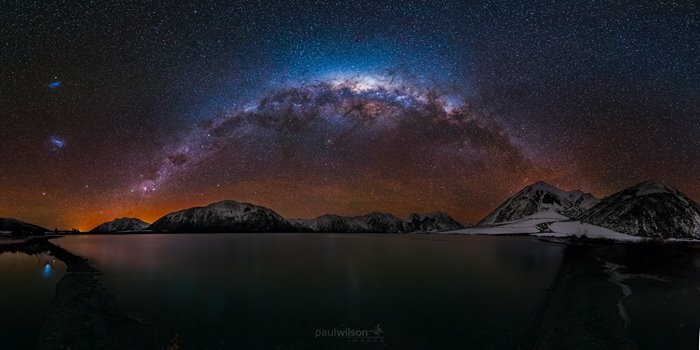 It also happens to have some of the best views of the Milky Way on the planet, as demonstrated in this stunning image by photographer Paul Wilson. Here, the Milky Way hovers above Lake Coleridge (located in Canterbury, New Zealand—approximately 22 miles/35 km northwest of Methven), which sits where a glacier once did roughly 20,000 years ago. You can see the image in gloriously high-resolution here. Paul’s facebook page also boasts a huge number of equally gorgeous astrophotography snaps.